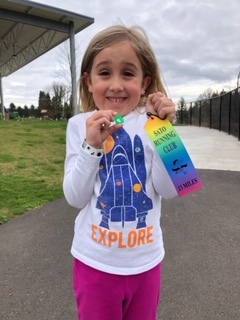 Check out these kids who have persevered and reached new lengths in Running Club recently. Full marathons and half marathons! Congrats kids! 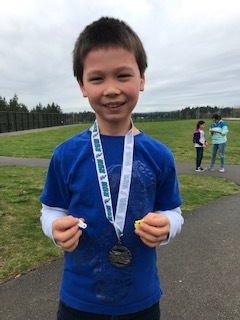 Running Club meets before school on Tuesday mornings and during lunch recess on Thursdays (so that everyone has a chance to participate!). Thanks to Lori Tewsbury who took the lead to continue this great program from Springville. Next year, Linda Feldhan will take over as coordinator but we still need YOU! We’d love to have 4-5 dedicated volunteers to help with the youngest grades 10:30-noon on Thursdays. Please sign up if you can! The legislature is currently considering a $2 billion (per biennium) additional investment in education. The proposal they are considering would bring greater fairness to the state’s tax system while raising additional revenue for schools. It would invest exclusively in pre-K through high school in a targeted way that ensures accountability of resources while protecting the current base. This is potentially a transformative moment for education and our legislature must not let it pass. Fund education adequately! 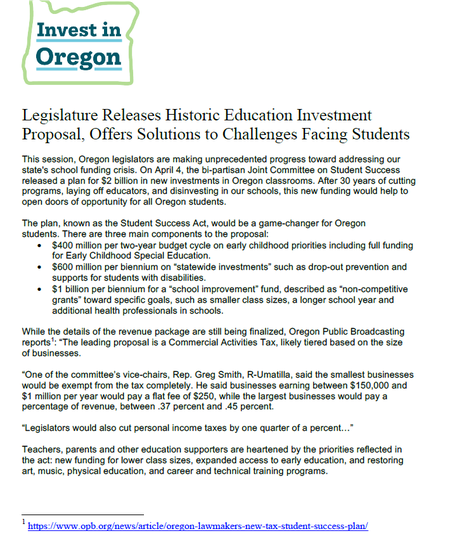 Support the proposal from the Joint Committee for Student Success (House Bill 2019) to create a $2 billion investment in our kids. As a supporter of public schools, how can you help? Become Informed and Speak Up! 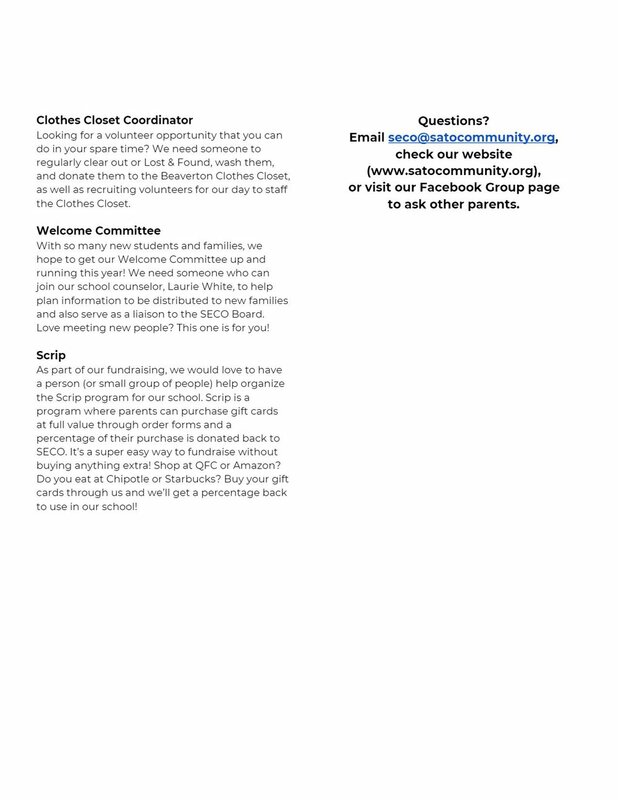 Read the flyer below from Invest in Oregon with additional steps about how you can help. Attend public meetings and/or send comments regarding the budget - find opportunities to comment and upcoming meetings on the 2019-202 Budget Year webpage. 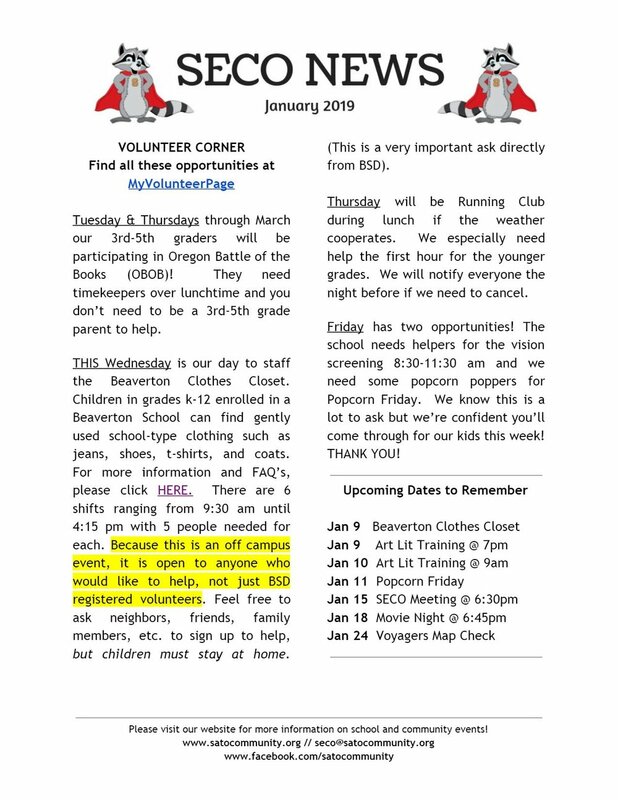 Learn about the Red for Ed movement and Invest in Oregon community coalition and how you can take action by visiting the Beaverton Education Association website. Follow activities of the Oregon Education Association and Beaverton Education Association. 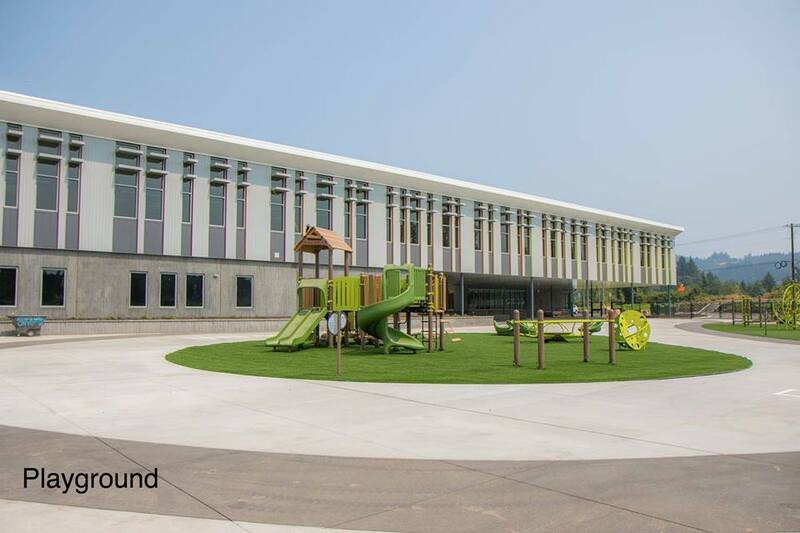 For more information visit the 2019-2020 Budget Year Beaverton ISD webpage and watch this video for an overview of the history education funding in Oregon. Along with the fun, we’re including a ‘fund’ part to our run. This is a great way to include extended family and friends that have an interest in your child’s education. 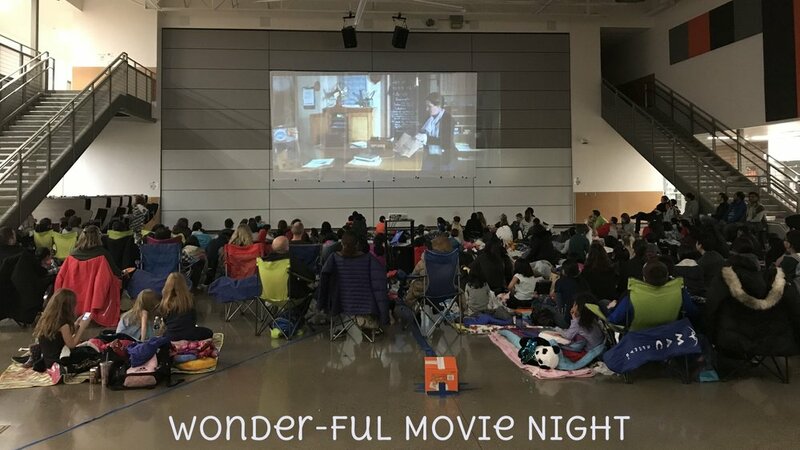 Money raised supports SECO programs such as Art Literacy, OBOB, Voyagers, STEAM Night, field studies, etc., that directly enrich your student’s education. What a lovely Friday morning we enjoyed at the Volunteer Appreciation brunch! Thank you so much teachers and staff! Congratulations to the Logan Family for being the winner of our first ever Boat Raffle! Sato Elementary’s first ever talent show, “Sato’s Got Talent!,” was March 7. We were blown away by these amazing kids. From guitars made from legos, gymnastics, and comedy routines, we had it all! Join other parents, make your voice heard, stay connected to your child’s school, and help build the community YOU want to see at Sato. We promise the involvement is well worth it! 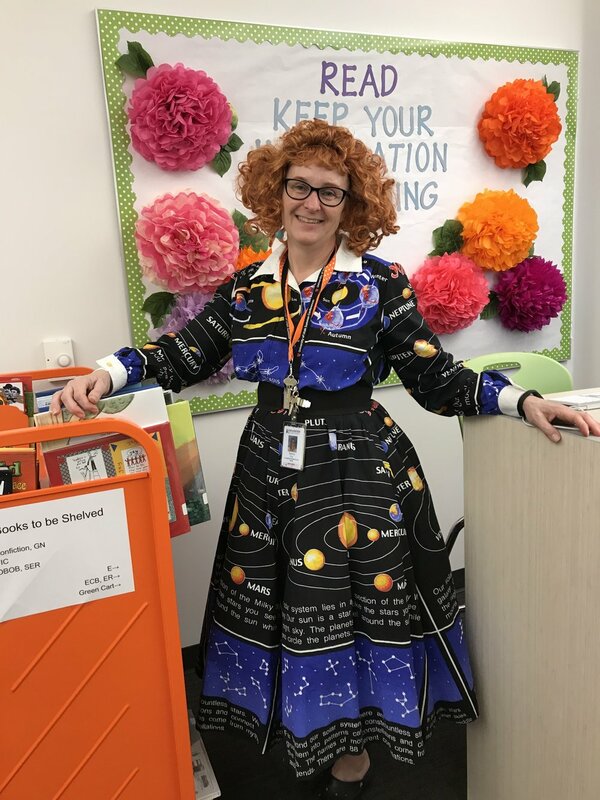 We’re a book-loving family, so we were thrilled to learn that Sato was celebrating Read Across America and Dr. Seuss’s birthday, with a spirit week. We set right to work brainstorming ideas for the theme each day, and it was fun to see the excitement in my daughter’s eyes while we were planning and creating together. Thanks to the support of the Cultural Coalition of Washington County, BCT is pleased to offer students who have read Hana's Suitcase a free ticket voucher to the performance of The Diary of Anne Frank. The voucher includes free admission for one student and one adult. The performance is appropriate for students in 3rd grade or older. The past couple of weeks, the kids have been creating winter scenes to decorate the library. After being inspired by a winter story, Ms. Fry, our Library Media Assistant, has led each grade in a special art project such as “melting snowmen” and using bubble wrap to make snowy trees. Welcome back to school! Find our first newsletter of 2019 here! Our big fundraiser for the year has kicked off! Yes, the Raccoon Write-Off is back! This year, if every student donates $35, we will easily hit our goal of $20,000 - and Principal Pleau has agreed to let the kids have a Pajama Day if we beat last year's total! You can find more information below and can donate via the button on our website, by submitting a check with the included form, or by donating through your employer’s matching program. Employee matching programs are a great way to help us double our funds! Please let us know if you donate through your employer so that we can track your donation towards our goal. Thanks for all you do! Check out our first newsletter for the year here! 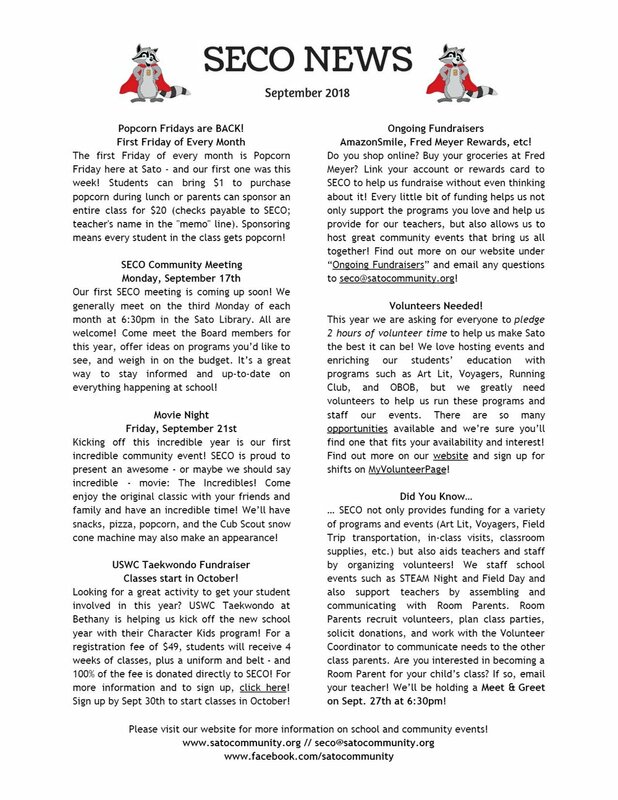 Be on the lookout for more SECO newsletters at the start of each month. This year, we are asking everyone to pledge 2 hours of volunteer time! 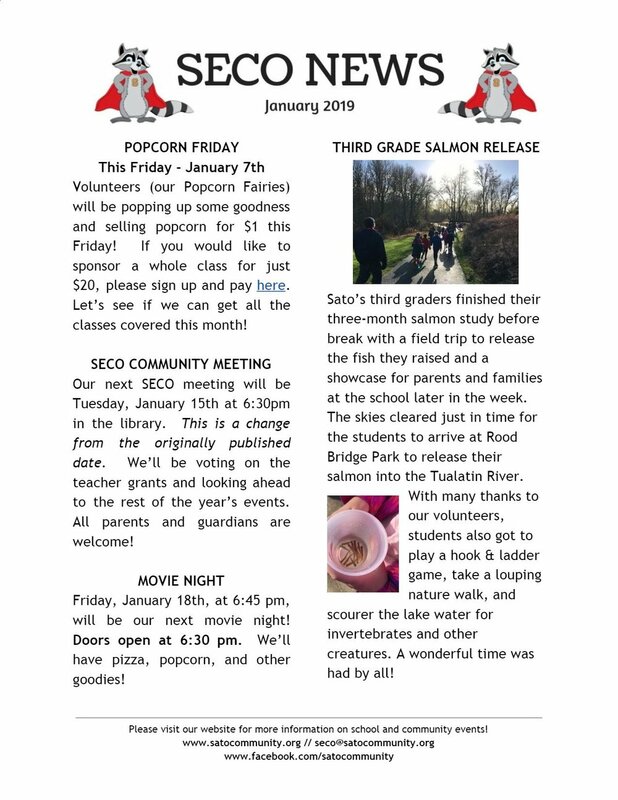 There are so many ways to volunteer at Sato - you can help out in the classroom, at evening events, with programs and clubs, during planning at SECO meetings, and or at home! 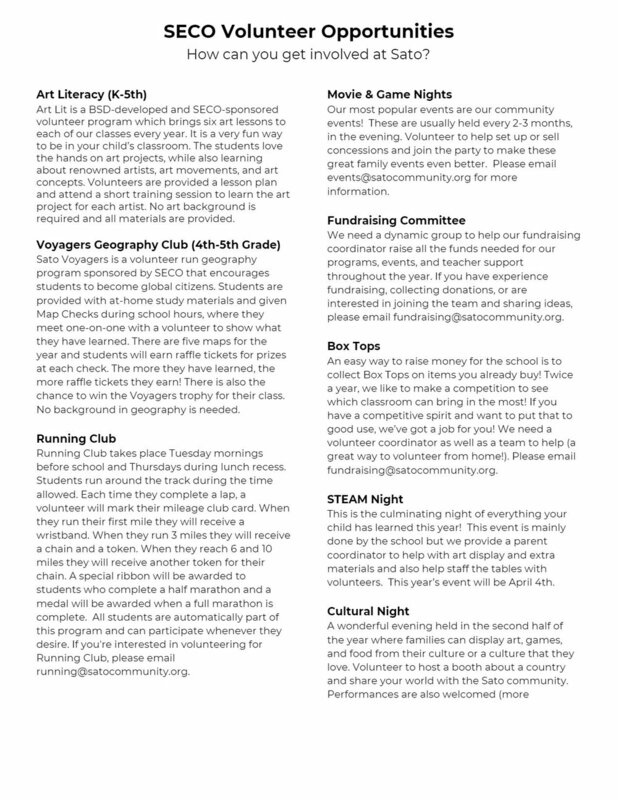 Check out some of the many opportunities below and email seco@satocommunity.org. We need your help to make Sato the best it can be! Click here for the first Raccoon Register for the 2018-19 school year! It's full of valuable information from Principal Pleau about the start of school. Be sure to double check your school supply lists! 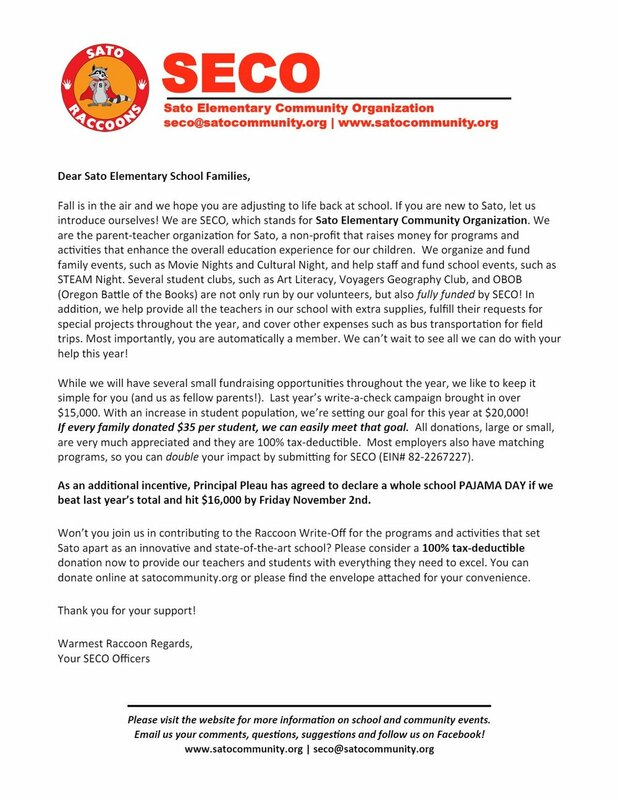 The ones listed on the Sato school website are incomplete and the kits ordered through Schoolhouse Supplies Online also did not include all necessary items. For the most complete school lists, click here or check them out below! A new school year is upon us! BSD has released the Back to School packet for the 2018-19 school year. You can find them here: English and Spanish. Have questions? Ask on the Beaverton School District Facebook Page.